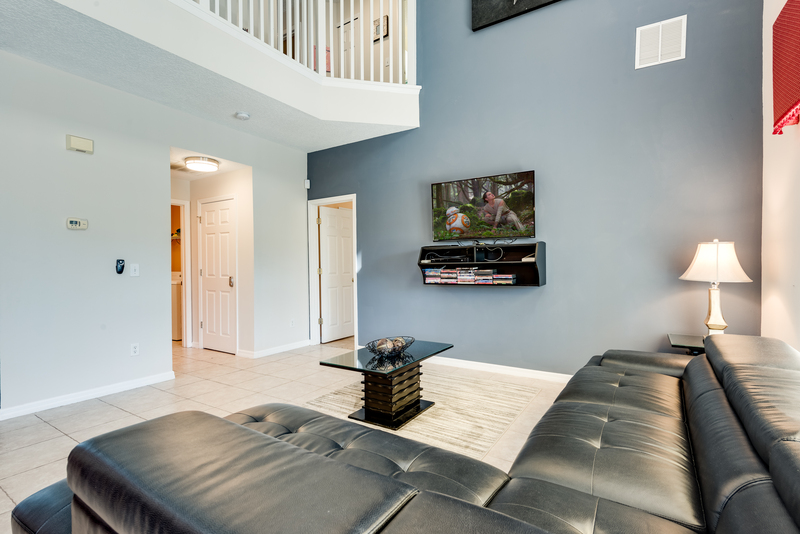 Our Villa has a vaulted-ceiling family room for the whole family to relax in together, with sumptuous sofas and a love-seat, occasional tables, lamps, a large screen 37" LED TV, DVD player, and a surround sound system. 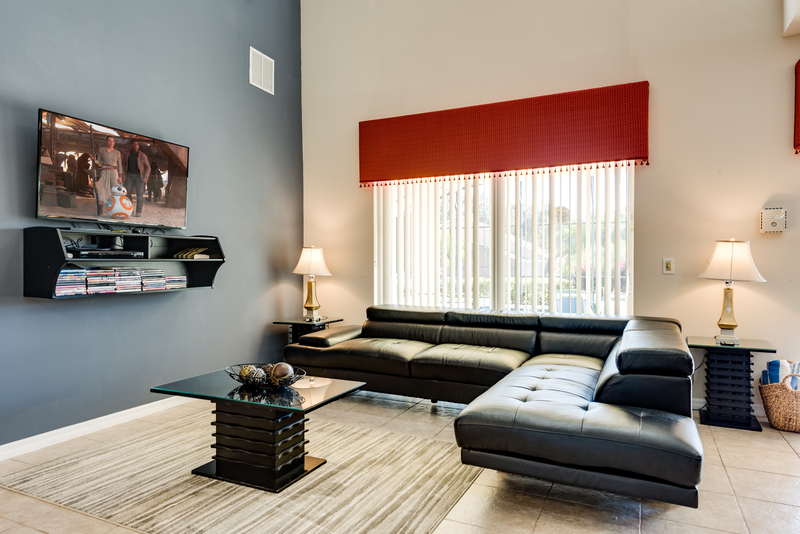 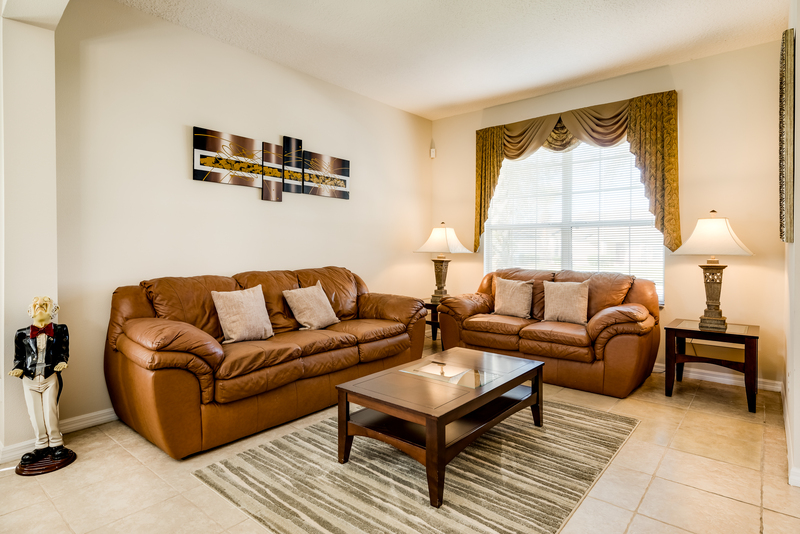 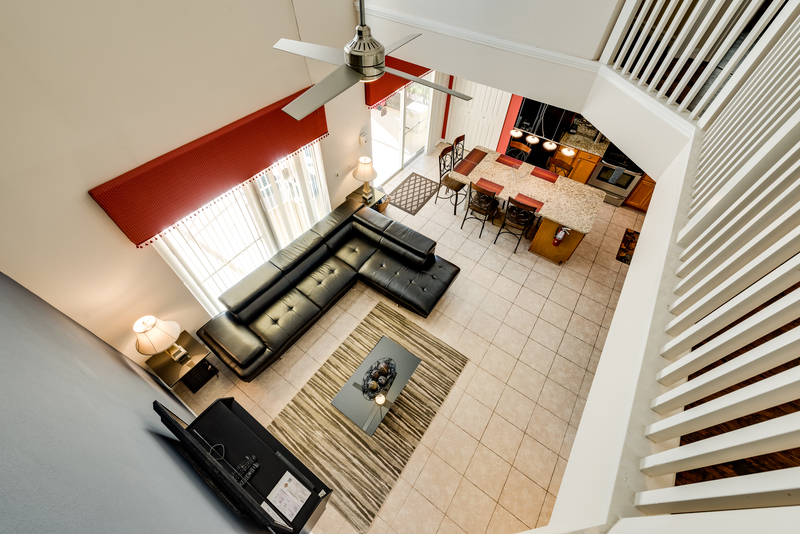 If you don't want to hang out with the rest of the family, go and play some board games or take the time out to read a book in our separate lounge area with sofa and love seat. 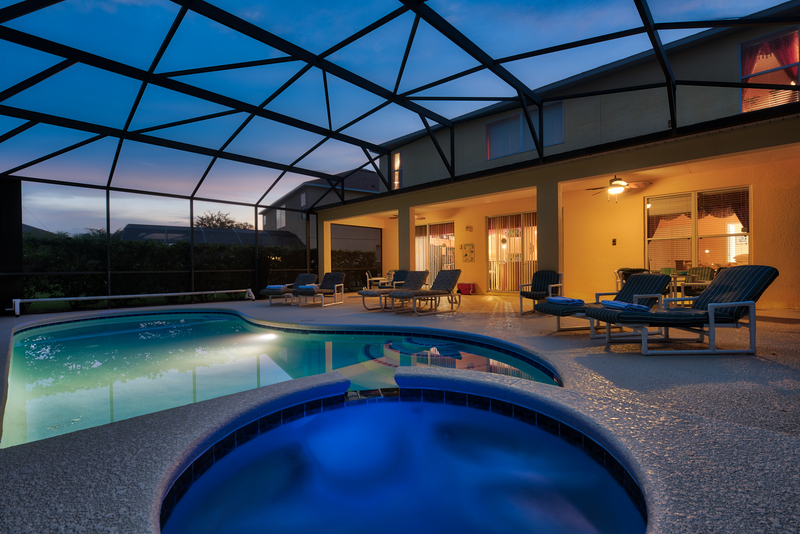 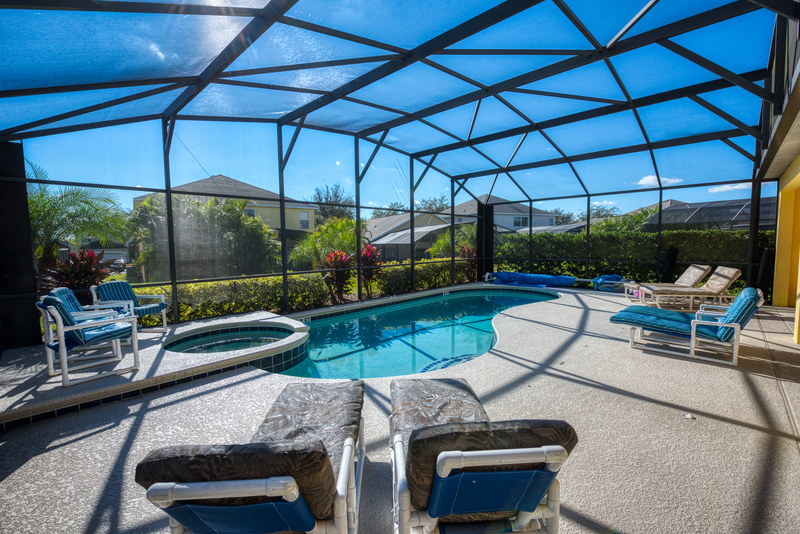 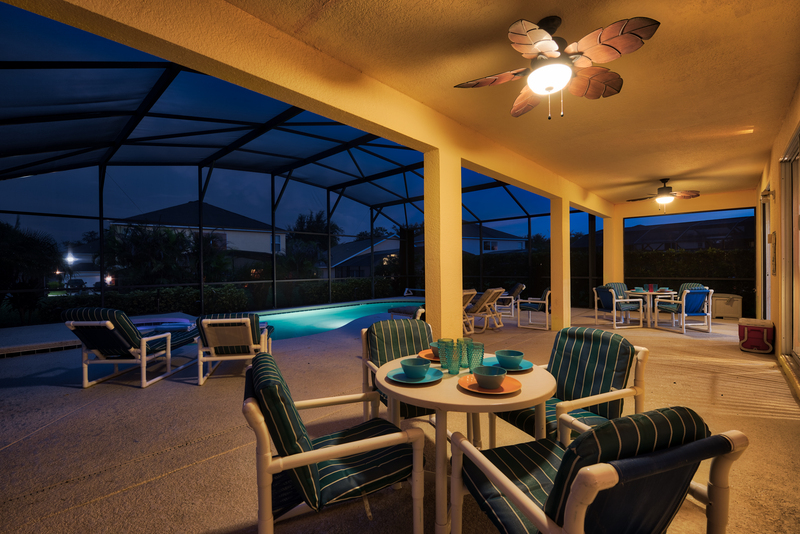 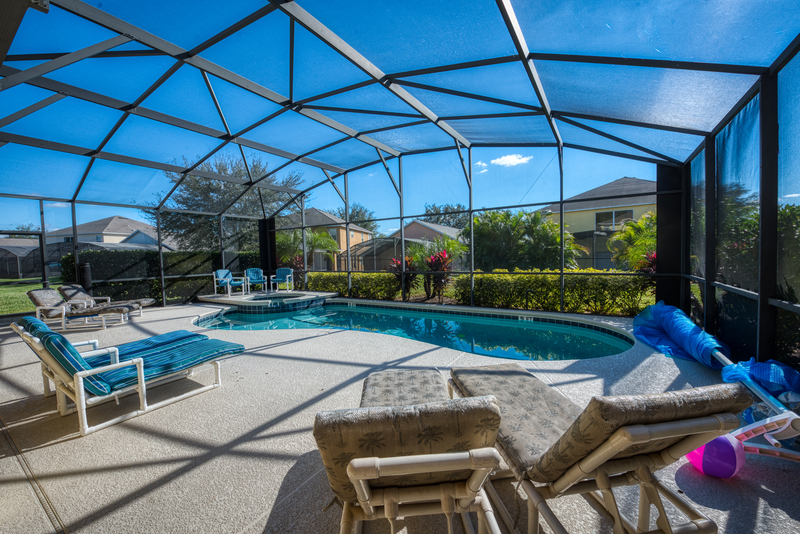 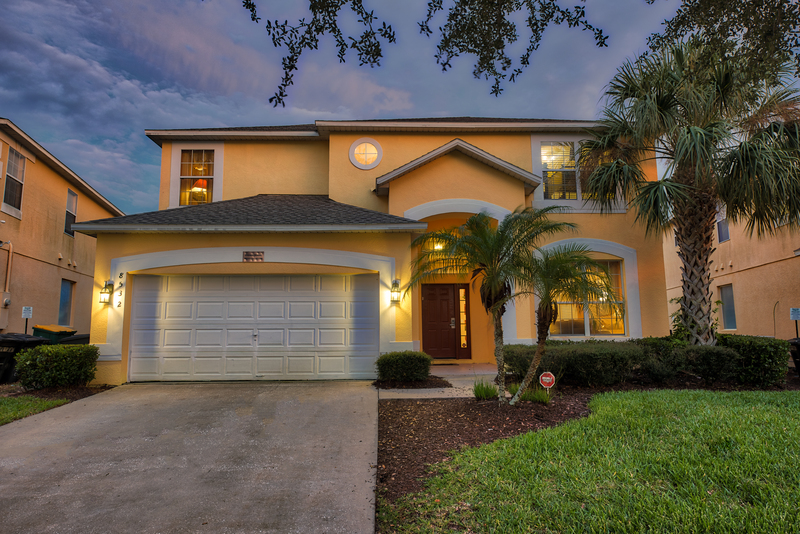 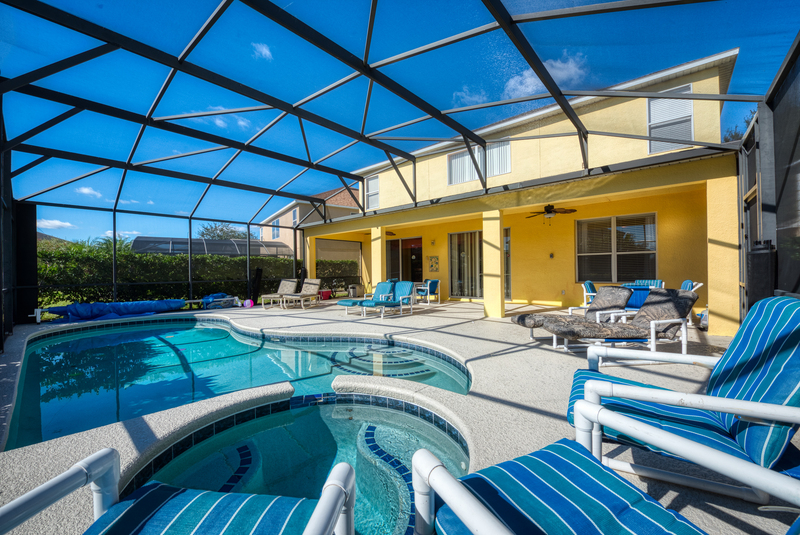 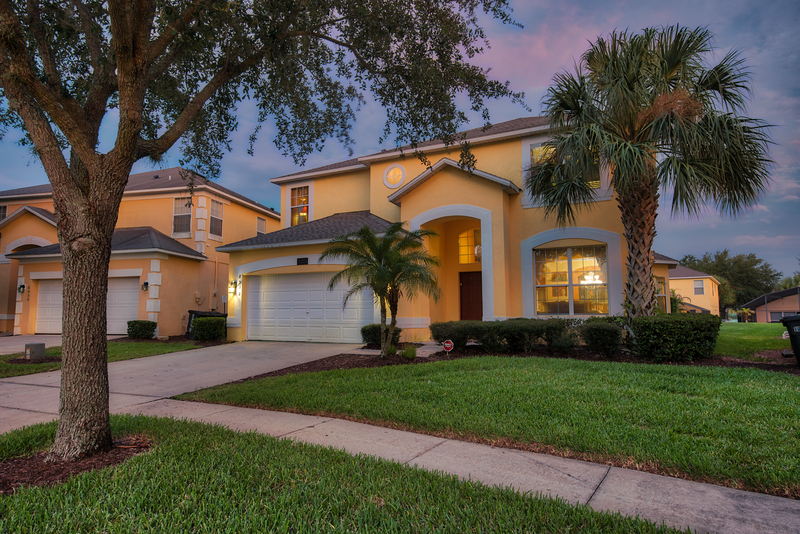 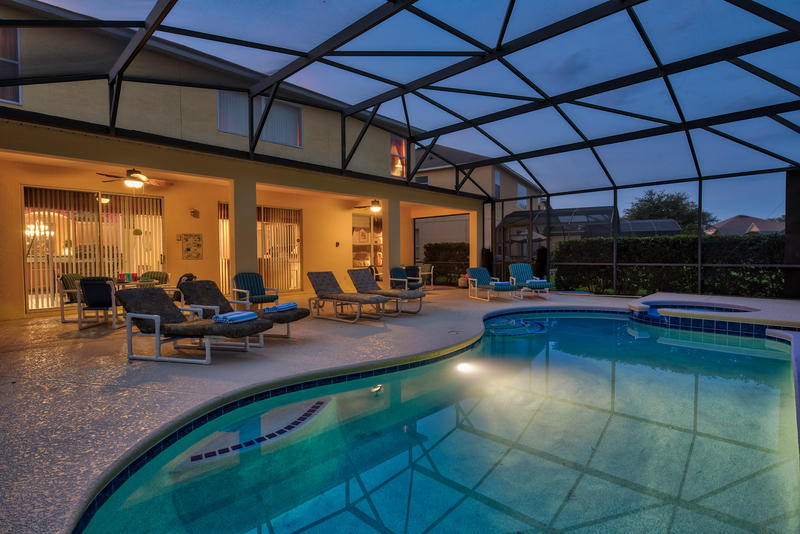 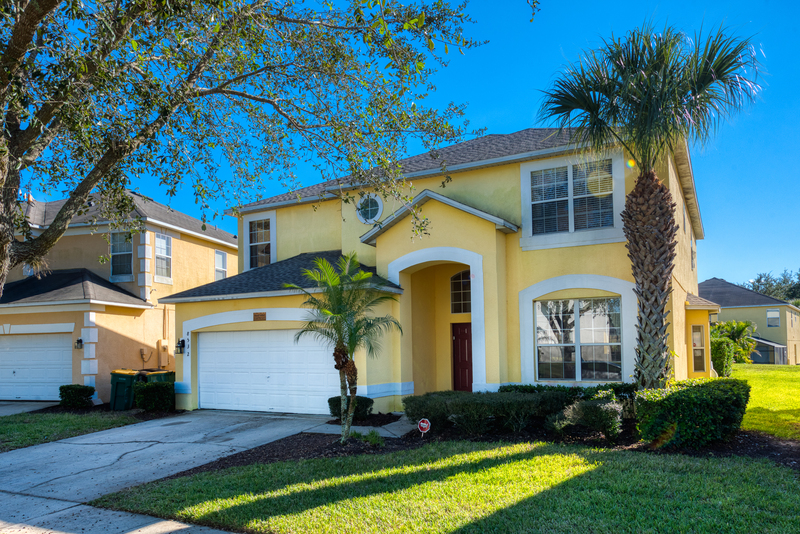 If that's not enough, then step out of the family room, onto the sun-drenched pool deck, and relax on the cushioned pool furniture as you soak in the Florida's golden sunrays. The extended pool deck surrounds the raised spa that cascades a waterfall in to the main, sparkling pool, where you can cool off and have some family fun together. 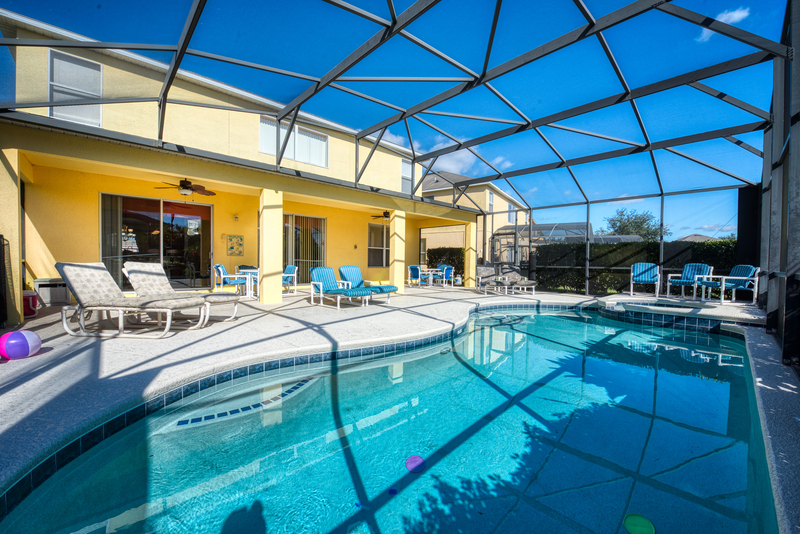 The pool is provided with a removable safety fence for extra added protection for young infants should you need it, and all doors leading on to the deck area have been provided with additional safety locks and alarms. 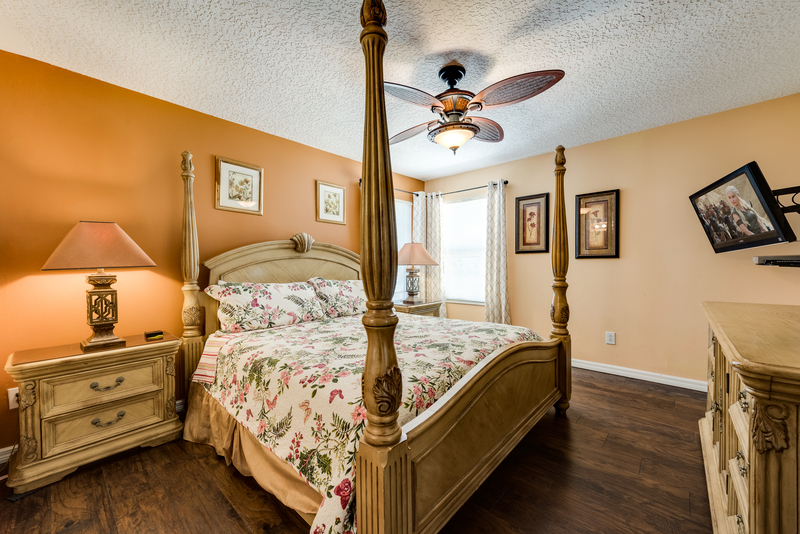 Sleeping at our Villa continues the trend of spoiling our guests! 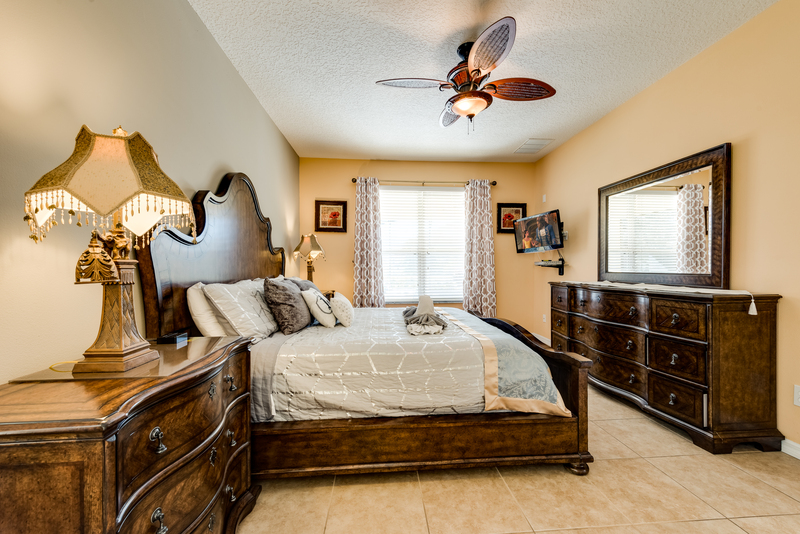 The first-floor master bedroom features slumber-soft king-size bed, 32" LED TV, DVD player, nightstands, lamps, clock/radio/alarm, telephone, armoire, dresser, walk-in closet, plus a private master bathroom, with a mirrored vanity unit, tub, step-in shower, plus a private toilet. 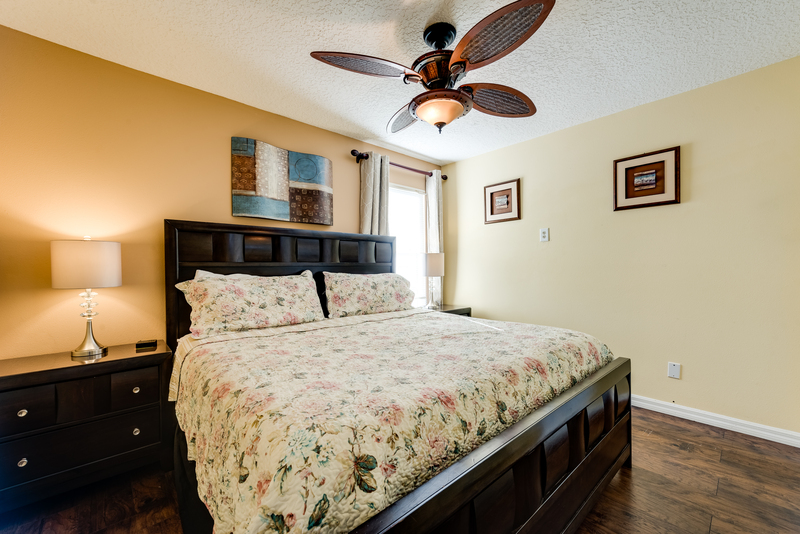 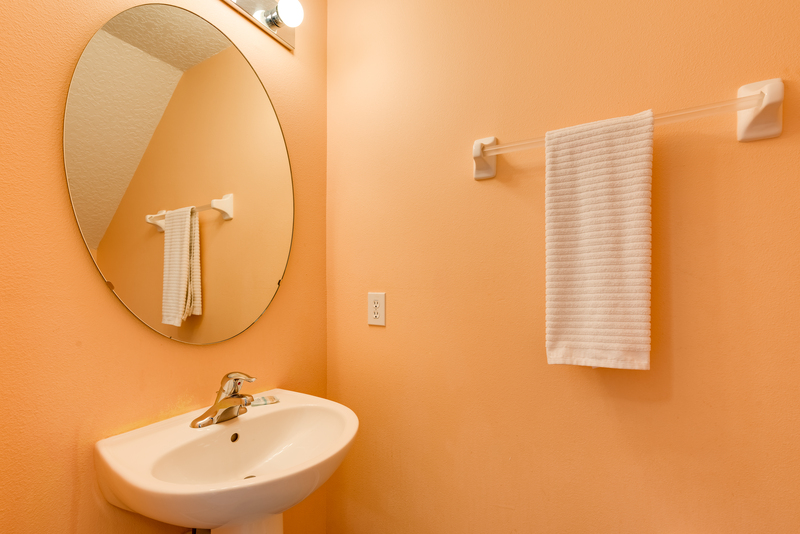 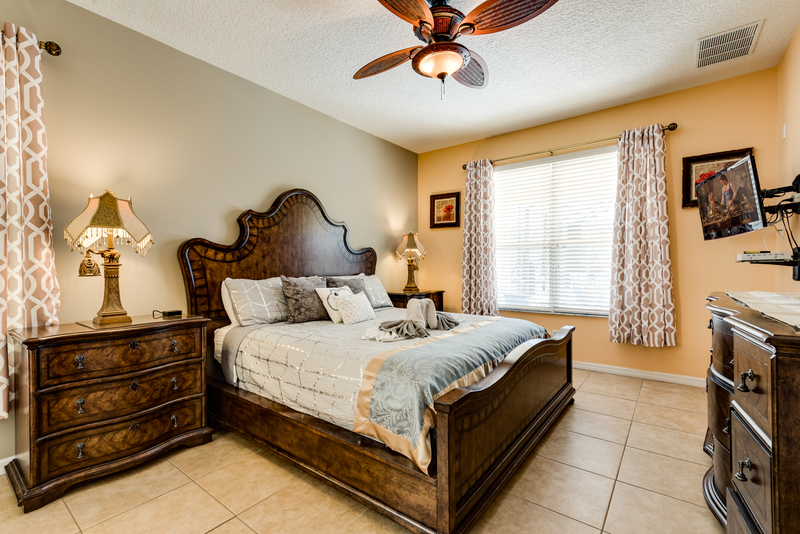 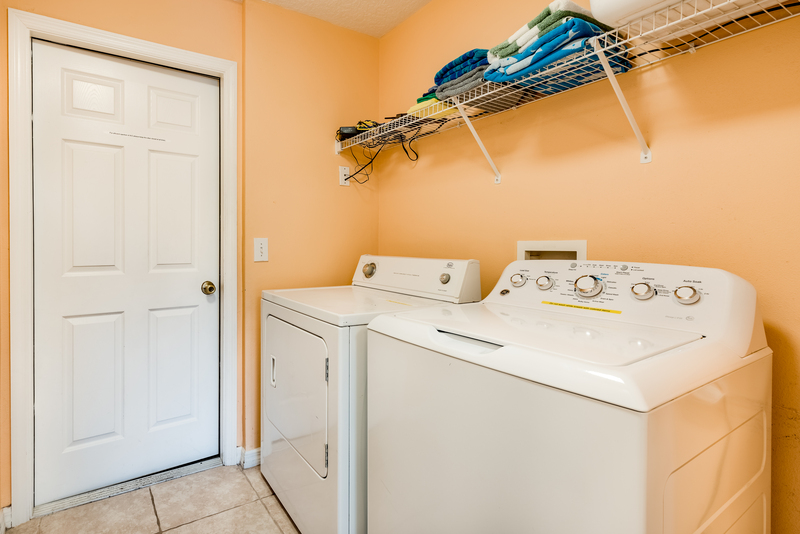 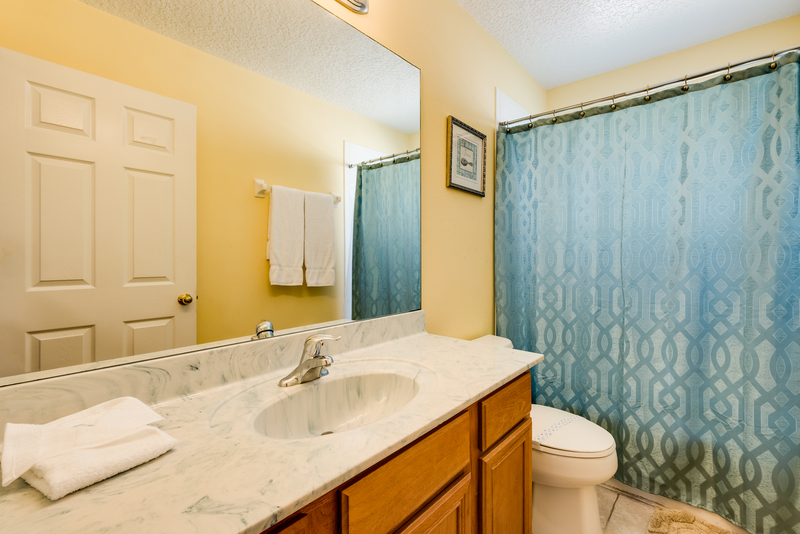 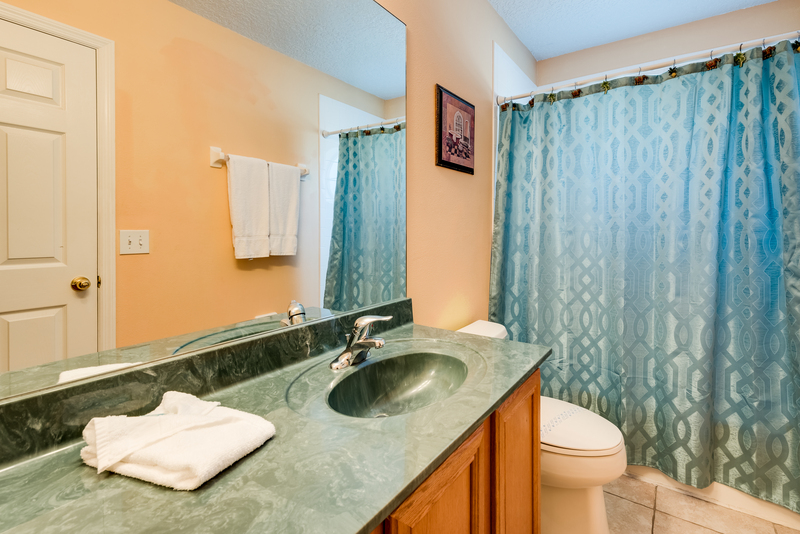 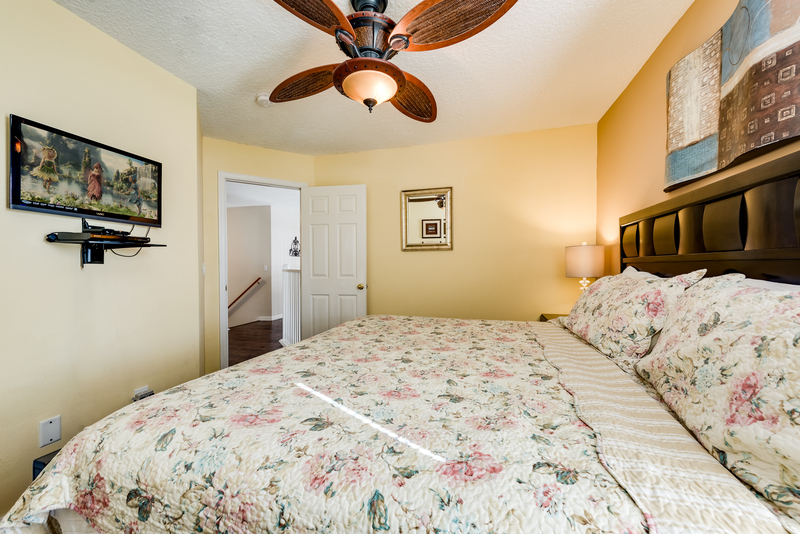 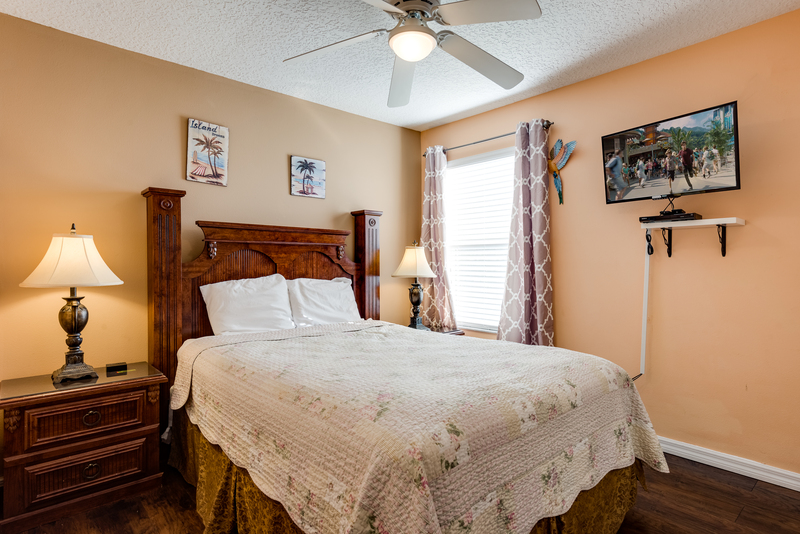 The second-floor master bedroom features slumber-soft king-size bed, 32" LED TV, DVD player, nightstands, lamps, clock/radio/alarm, telephone, dresser and mirror, walk-in closet, plus a private master bathroom, with a mirrored vanity unit, toilet and tub. 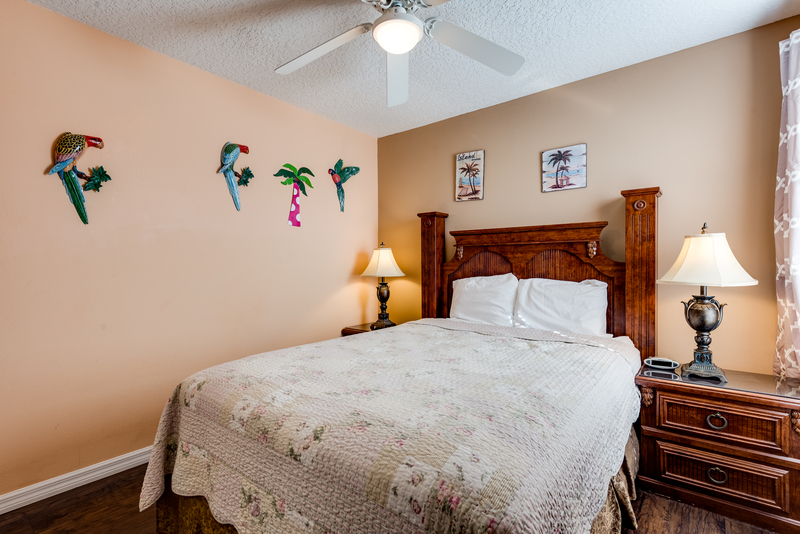 The third master bedroom mimics a "Tropical Paradise" and offers a queen-size bed, nightstands, 32" LED TV, DVD player, closet space and is adjacent to the "Feathered Friends" bathroom. 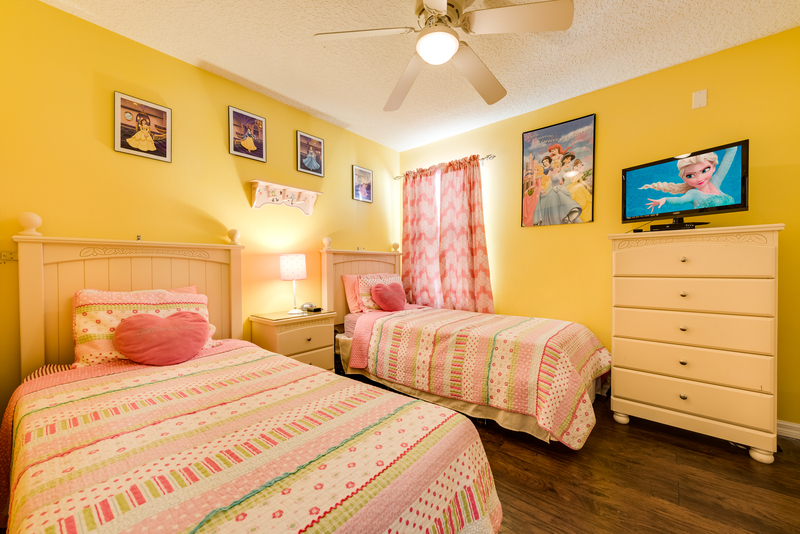 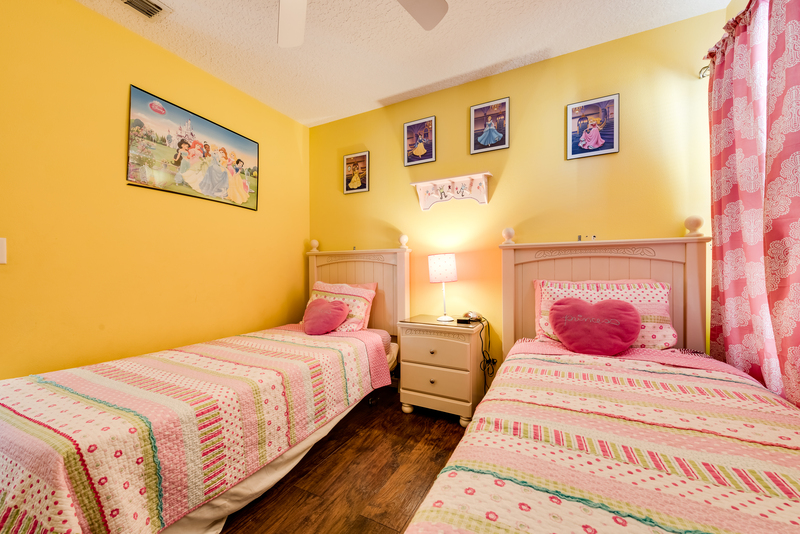 "Princess Castle" offers two comfortable twin beds, night stand, 26" LED TV and DVD player with its own closet space. 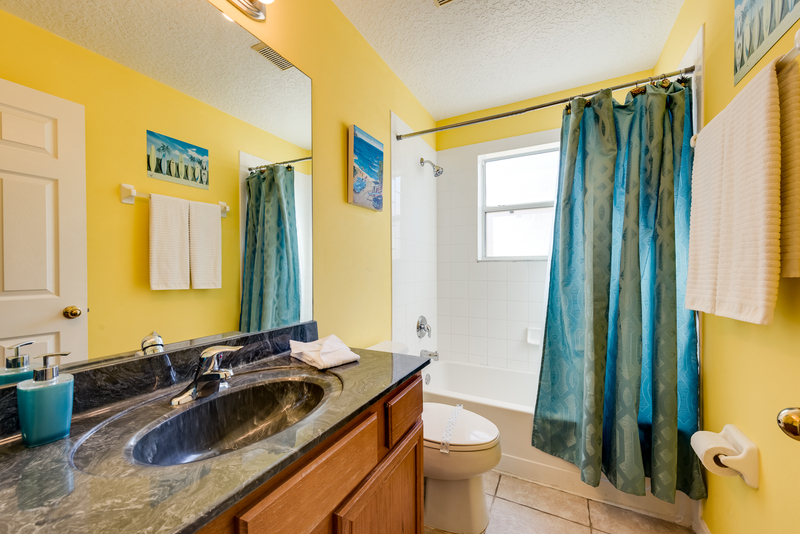 "Feathered Friends" bathroom has a mirrored vanity unit, tub, and toilet and is shared by "Tropical Paradise" and "Princess Castle". 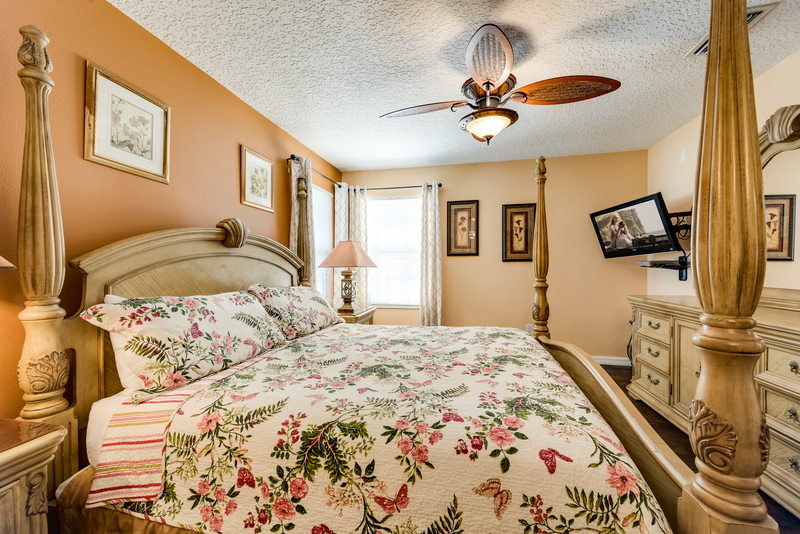 The fourth master bedroom offers a queen-size bed, nightstands, 32" LED TV, DVD player, Dresser and mirror and closet space. 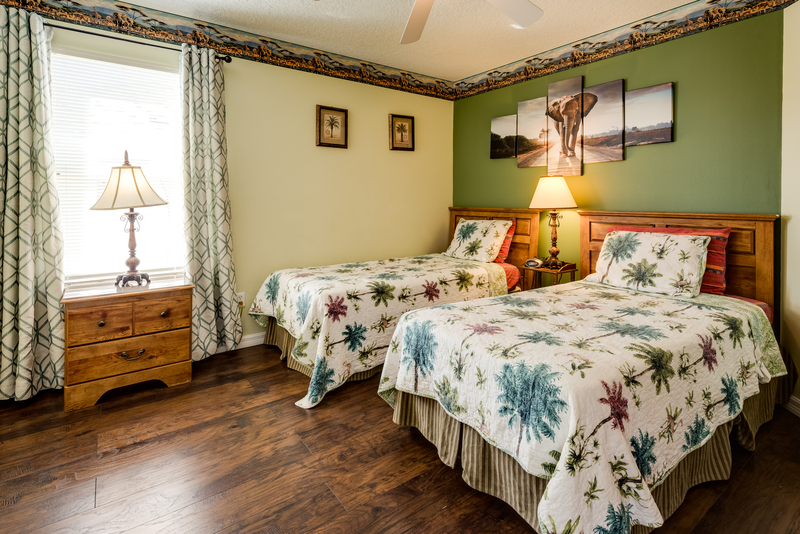 From there we take you on a "Safari" with our (you guessed it!) 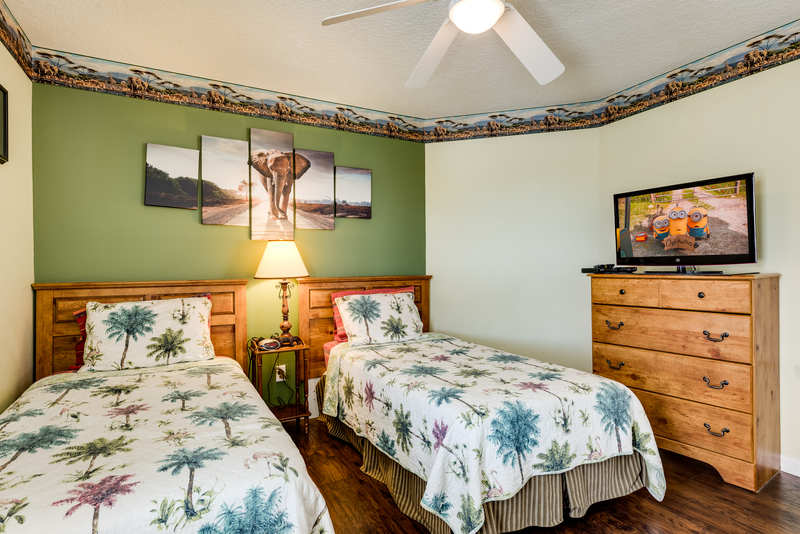 Safari themed bedroom with two twins, 26" LED TV, DVD player, chest, two night stands, alarm clock/radio and closet space. 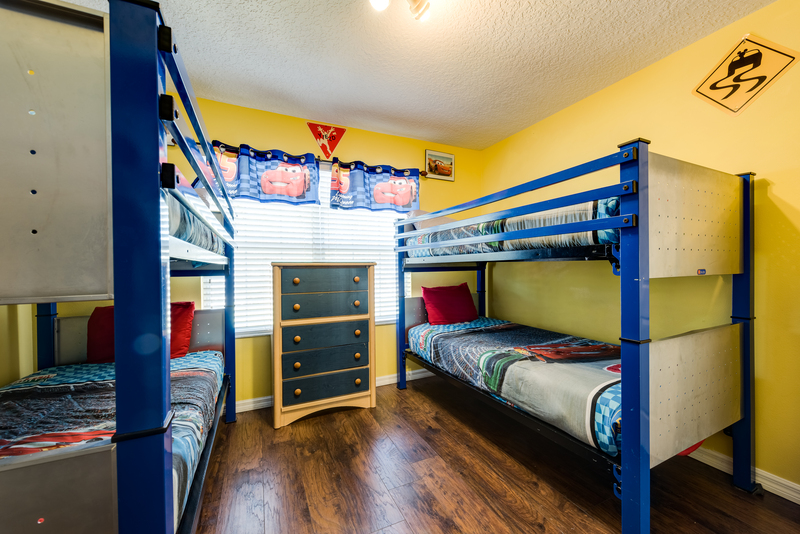 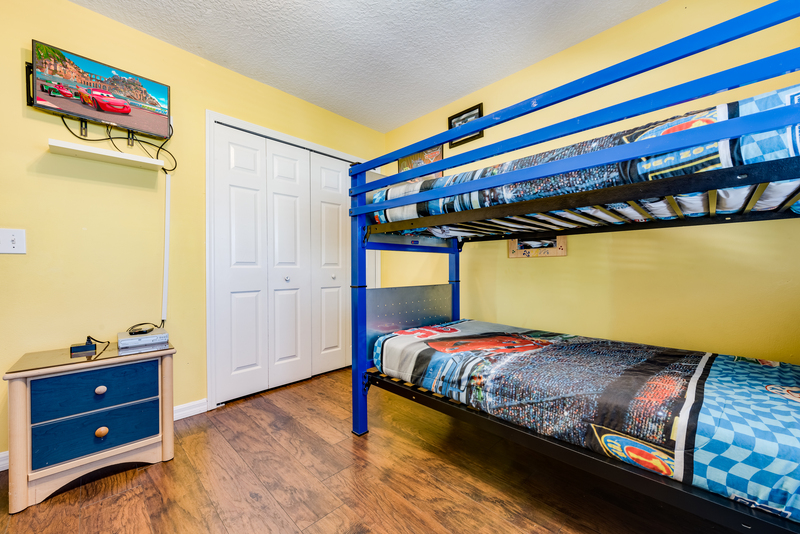 Seventh bedroom is a perfect “sleep-station” for the kids with its 'Cars' theme, with 2 twin bunk beds, a 22" LED TV, DVD player, nightstand, lamp, chest and closet space. 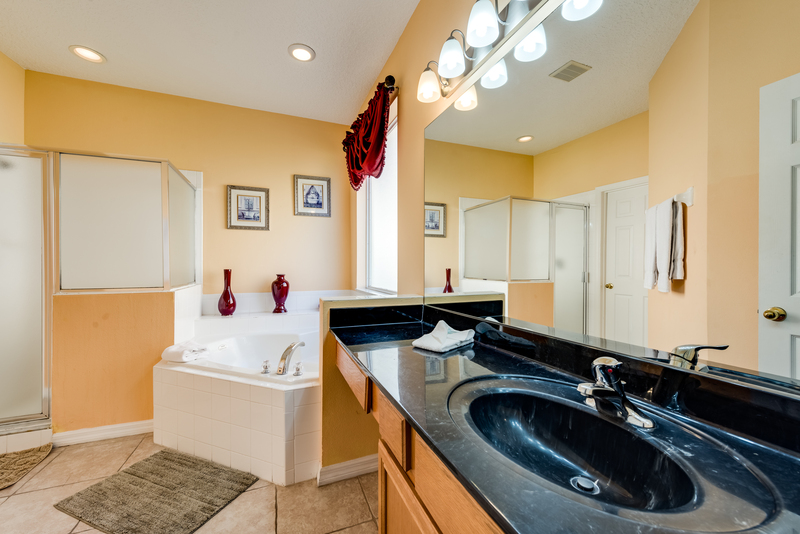 These bedrooms can access the "Surfing" themed bathroom with mirrored vanity unit, tub and toilet. 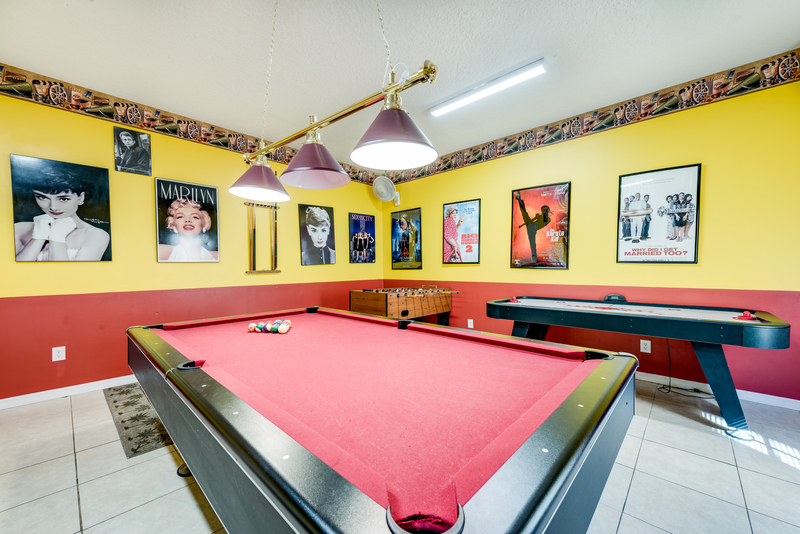 Enter the Hollywood themed games room and you will be wowed with all the toys we have for the adults and kids. 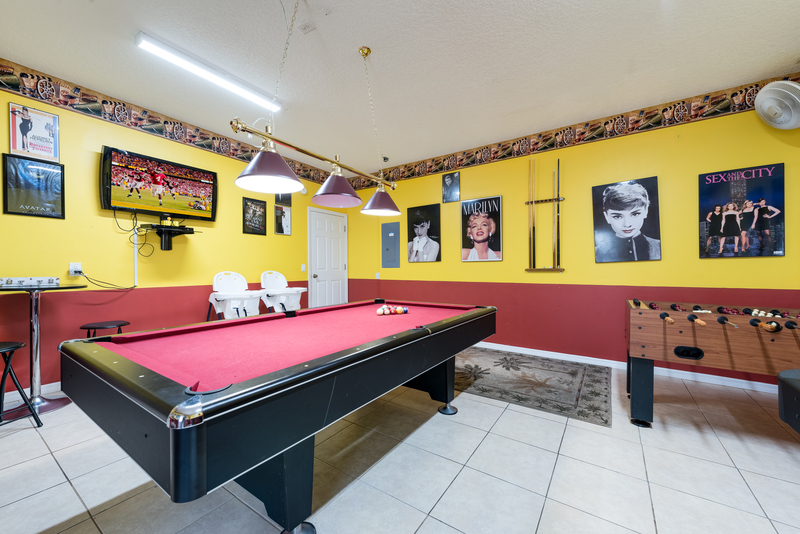 This fully air-conditioned game-room offers a 42" LED TV, DVD player, air-hockey table, foosball table and a dart board. 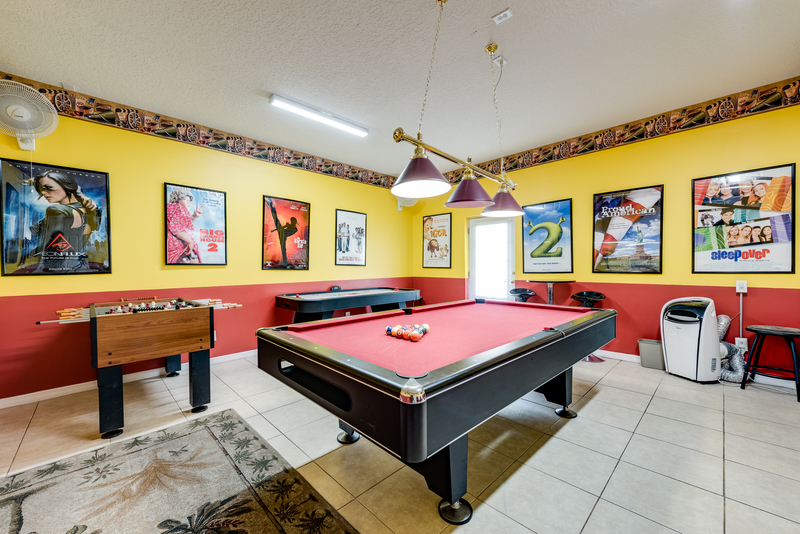 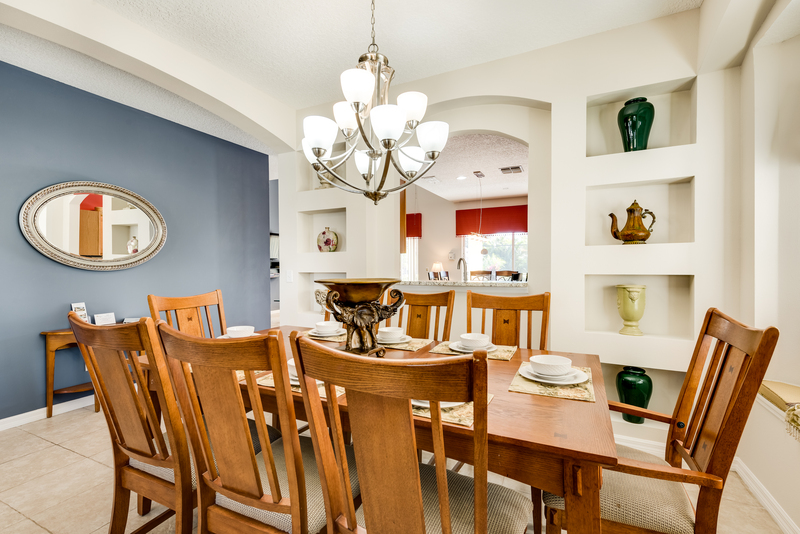 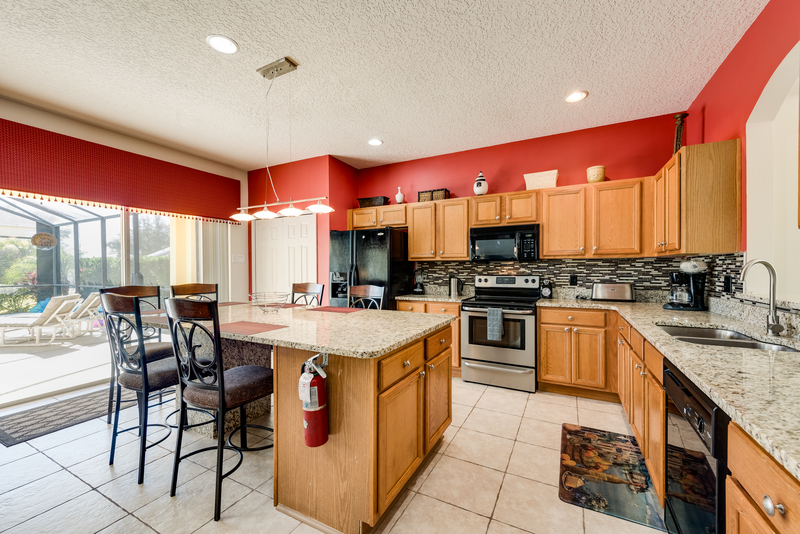 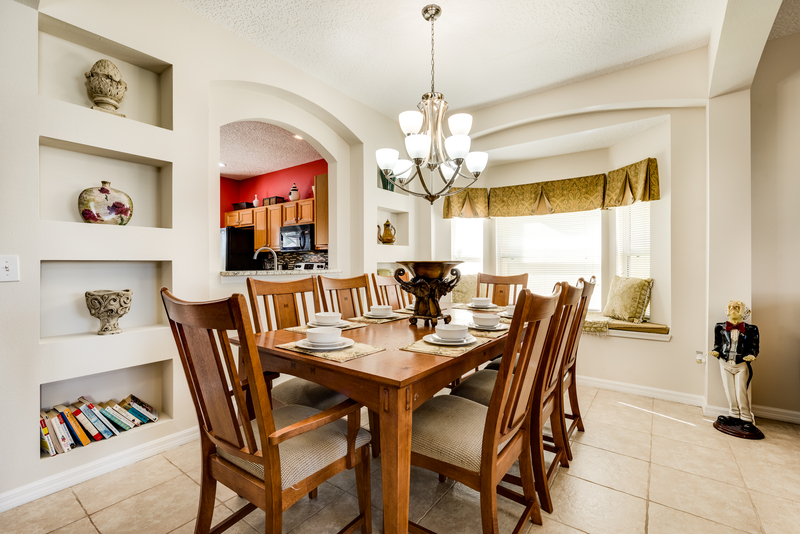 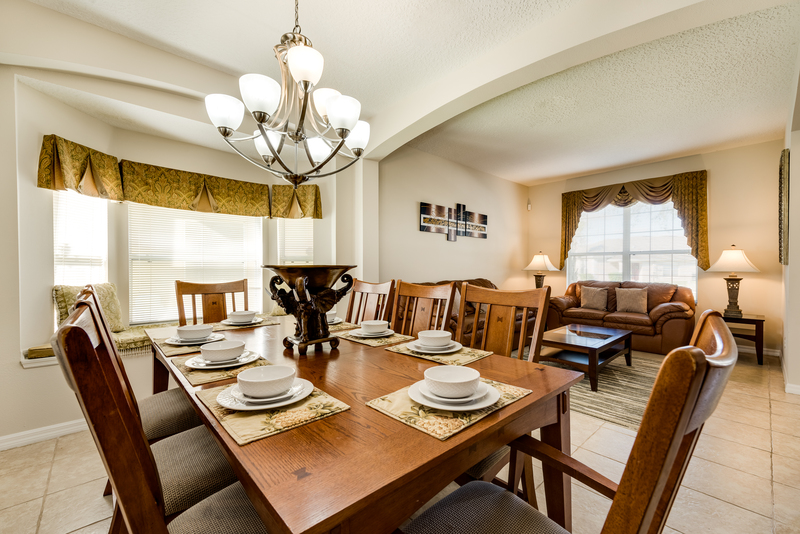 If you can find the time between the games room, pool and the theme parks nearby, then you may like to eat at our home. 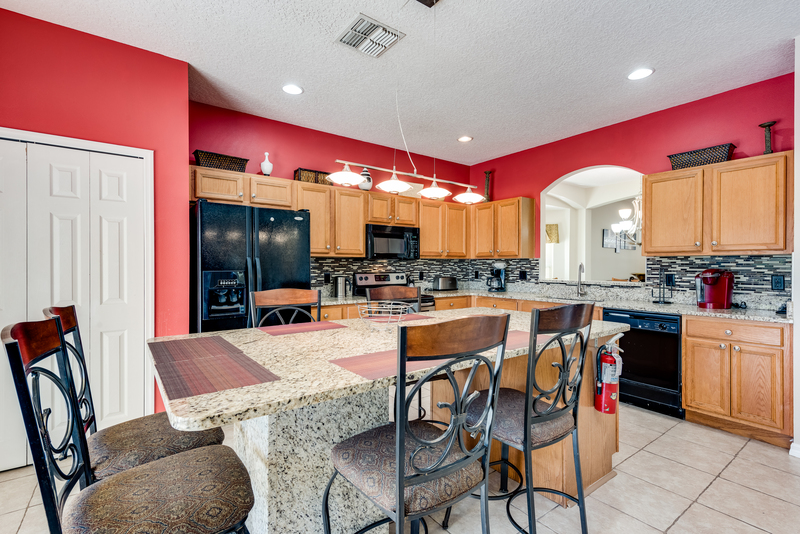 Of course, everything that you could possibly require to prepare a simple snack, a great tasting steak on a gas-fired grill or a Thanksgiving or Christmas feast has been provided to enjoy in the breakfast nook, or in the formal dining area. 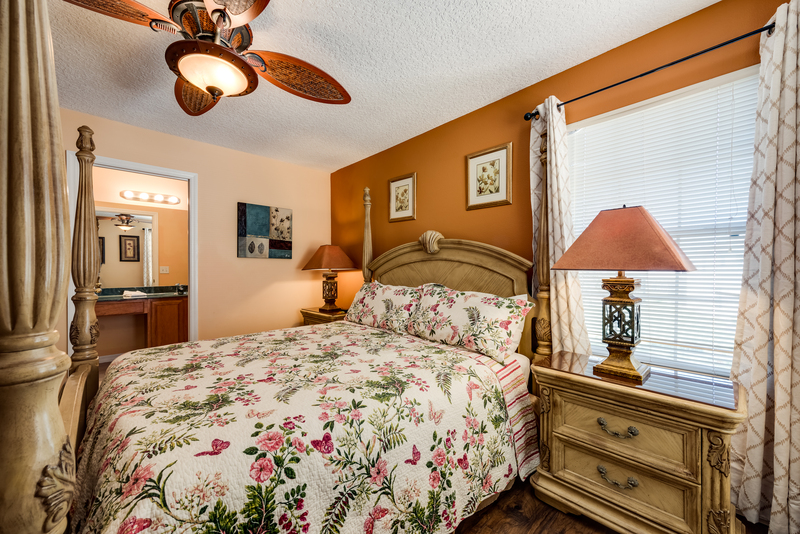 Whatever you decide, we promise that your visit to any of our Villas will be memorable for all the right reasons!